This Maya Brenner Designs bracelet boasts your initial in shining gold. Make it your signature piece. 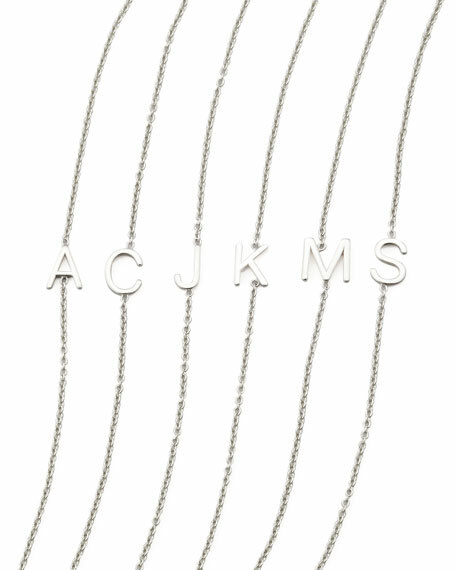 Cable chain bracelet; each letter measures at 6 mm.